A lot of us actually started our blogs on Blogger.com or Blogspot. That was the fastest and simplest way to setup a blog then for non techies. Even for me, I can get lazy sometimes. Even though I run a self hosted WordPress blog, I do have other blogs that run from Blogger. And the sad thing is after a while, it gets difficult to move them over, so I left them as it is. Recently I started attempting to move my other blogs again. Why? Because it has become quite a pain to write on Blogger. First, they scrapped the native iOS app for Blogger, so writing can only be done on the website. And things got cranky when using the web version. Sometimes I couldn’t get formatting right. I also had problems with the web version with Photos on my iPad Pro. I guessed a lot of people must have the same issues as me, so now there’s actually a very nice plugin for WordPress that does the import automatically (and automagically). 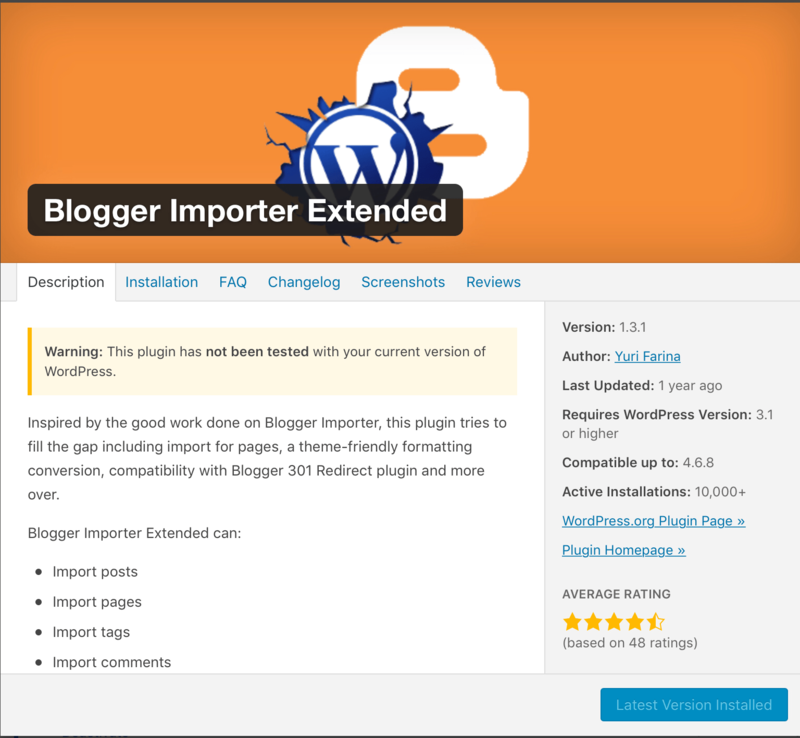 This plugin is called – Blogger Importer Extended. The installation of plugin is straightforward as per all WordPress plugins. I was actually very surprised that the plugin worked so well. The whole import process was a breeze. There’s integration with Google, so once you authorised the plugin, it will pull the list of blogs that you can import and start the process. The formatting was a bit out for some posts but it’s still acceptable. Tags are imported as keywords. So the only thing left to fix now are the categories. So this is for anyone who wants to move their Blogger blogs to WordPress. But just to note that all media files are still linked back to Blogger, so please do not delete your blog or the links might be gone!